Tanyalak “Eyu” Pirrera, owner of Pirrera. 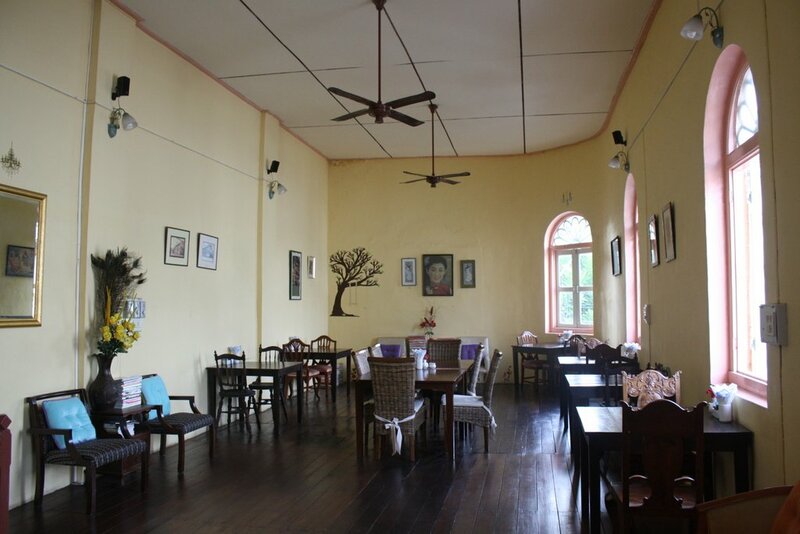 Located on the corner of Dibuk Rd and Yaowarat Rd, opposite the Lock Tien food court, the two-storey cafe is an impressive sight, built in the Sino-Portuguese style synonymous with the area. “I have always loved to bake cakes ever since I was young, so I enrolled at Le Cordon Bleu Dusit Culinary School in Bangkok,” says Mrs Tanyalak. 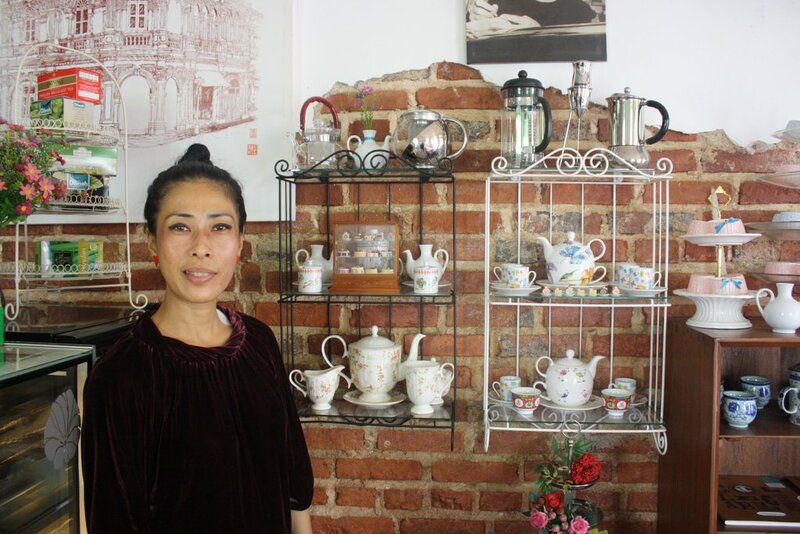 “I studied for a diploma in patisserie and baking, and I came to really like the cafes and bars in Bangkok – they were my inspiration for my first cafe,” Mrs Tanyalak said. She simultaneously raised her children and operated a cafe out of her house, somehow finding time to also deliver her baked goods to friends and customers around the island. When her children grew up, she realised this was the time to finally open her own standalone cafe – a lifelong dream. 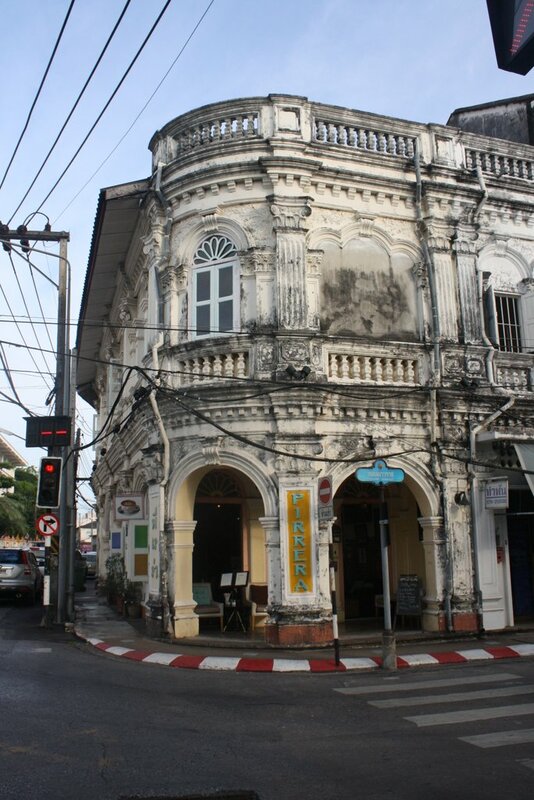 Realising the potential of the unique building, Mrs Tanyalak entirely refurbished the inside of the shophouse, which used to be a jewellery store during Phuket’s heady tin mining days. 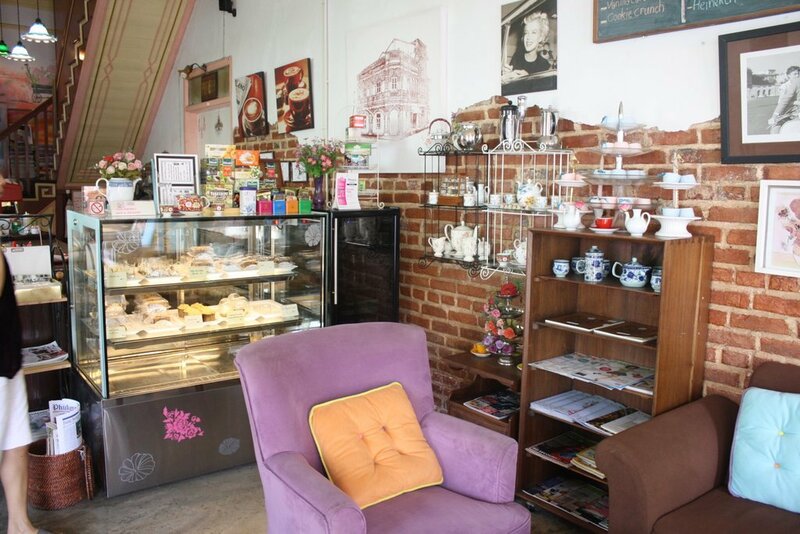 The upstairs of the cafe is particularly impressive – a large open plan area, with sun streaming in through the windows and vintage second-hand furniture. It could make for a perfect place for families to while away the afternoon – children content playing with their toys in the corner, while mum and dad relax with an iced latte. The menu is a mixture of Thai and Western food. Massaman (B130) and green curries (B150) are recommended, while there is also a breakfast menu starting from just B70. Salads range from B150 to B180, and there are also toasted sandwiches (a rare find in the Old Town) starting at B115. 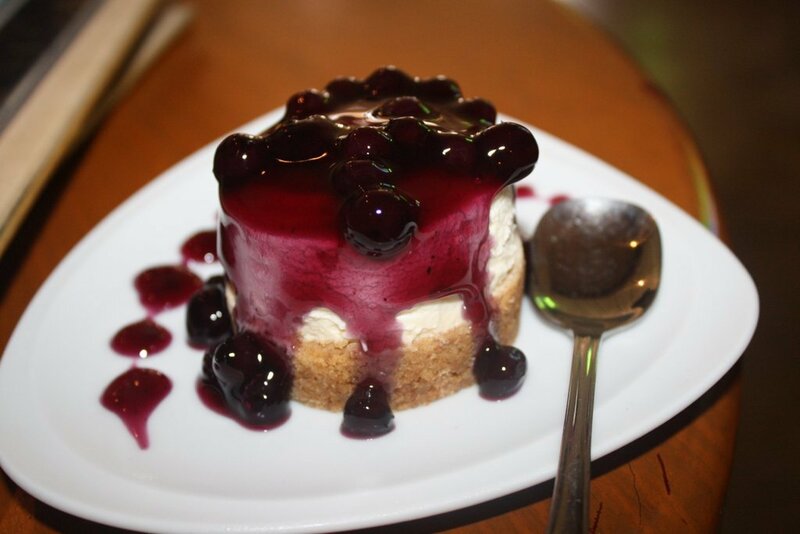 Because of Mrs Tanyalak’s passion for baking, desserts feature strongly on the menu. Try her signature lava cake with icecream for B160 – it’s simply amazing. Or instead perhaps order the scone with cream (B115) or a splendid sticky date pudding for B139.